The next major step in Aztez is taking our enemies to the next level. We've had enemies for a long time now, and while they currently have distinct mechanical identities, they're missing a couple crucial features. Some of them I'm going to save for a future post, but the major feature they're missing now is the ability to control YOU, the player. A good friend and design mentor says it best. "Good action games set the pace for the player." What he's referring to the is a game's abilities to raise meaningful hurdles for the player that they must get themselves over in a fun and challenging way. So before I got in there and shook up my enemies in a major way, I wanted to do some studies. The first one has been of Castlevania: Dawn Of Sorrow for the Nintendo DS. Ben and I worked together when I ran Flashbang Studios (most of our output is still online at Blurst.com, if you're curious). There are a lot of virtual indie teams out there--and more power to them for making it work!--but Ben and I work best in person. We've tried the coffee shop thing, the work-from-home thing, and co-working spaces. For us, paying to have our own private space is absolutely worth it. 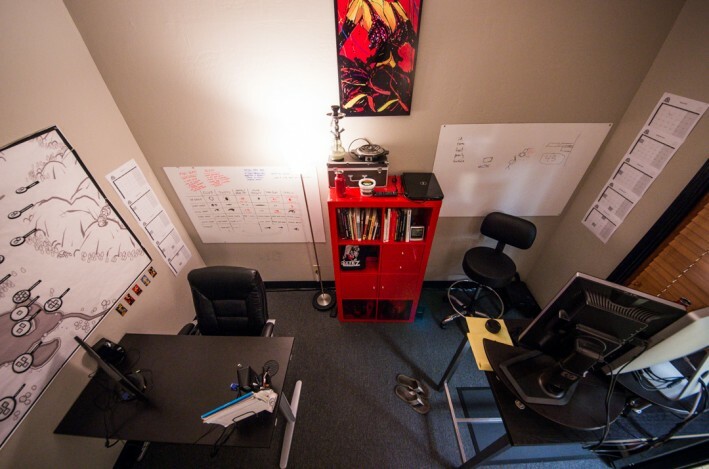 Rent is pretty cheap in Phoenix; we pay under $400 for a private office with power/Internet included, a shared conference room, and a shared break room with fridge. Our office neighbors are mostly 1-to-2 person shops like accountants, lawyers, etc. We're pretty well tucked away from the world in here! Security is a nice side benefit, too: The outer doors are passcoded, and we hold the keys to our inner door. We're actually in the same building that Flashbang used to be in, which is awesome (shout outs to Solo Cafe)! We need to talk about Aces Wild. It's an indie beat 'em up made by this dude Tyler Doak. He lives in Wyoming and is a programmer, artist, and designer all rolled up into one magnificent man. He very recently released Aces Wild on his personal website (for an unbeatable $10 USD) and I snatched it right up. After thorough scrutiny I have determined it is a game of tremendous importance. In order to understand why, check out this timeline I made of the 4 ages of beat 'em ups. It describes the age's distinctions and also contains most of the notable entries of each age. 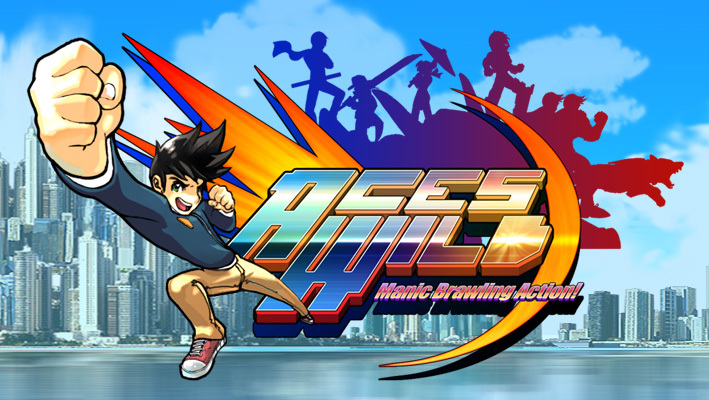 It'll help you understand what I'm getting at when I say that Aces Wild's purity, elegance, and carbon integrity make it the very champion of second age beat 'em up sensibilities, and I would go so far as to say it marks the age's glorious end. Please read on. Big News Time; August 2013 Edition! First of all, the big bad news of the moment is that they have just announced the lineup for the PAX Prime 2013 Indie Megabooth. For those of you not familiar with the Indie Megabooth, it's a MASSIVE collaborative booth space used by indies to get together, share costs, and show off their collective games to the PAX event crowd, i.e. the single biggest gamer convention in the world. It takes place in Seattle at the Washington Convention Center, and anyone that has anything to do with games will be there, along with 70,000 fans. Why Is It Fun?! XCOM Edition! I have a new article format I want to insert forcefully yet pleasurably into you brain array! It's called "Why Is It Fun?! ", and it's similar to my combat analysis articles, except it's not limited to beat 'em ups and it's not just about combat mechanics. It's about the spectrum of interactions and the response of enjoyment/addiction you feel when you experience it. It's going to be very interesting seeing what themes emerge! Let's start this party off with XCOM: Enemy Unknown. It's time for another official combat analysis, and this time it's an independently developed beat 'em up! It's called Guacamelee and it's available now on the PS3 and Vita. It's a Metroidvania style game where you regularly switch between the world of the living and the world of the dead, each having slightly different configurations of floors and walls. It also happens to be a combat heavy game with a big emphasis on mob crushing, and what they have done here is worth evaluating. Guacamelee was developed by Drinkbox Studios, a 12-15 person team from Toronto. As of this writing, I've completed the game. At GDC I did an interview for Unwinnable.com. Unwinnable is a great site, by the way! You should like them and read them. Anyway, I shared the interview on Twitter and my esteemed thought colleague Hamish Todd asked me if I really only ever play beat 'em ups for 3 hours before never touching them again. Then he said that he'd love to know why that is. It's a good question and I'm going to answer it! Inspired by the amazing work that Team Hitbox likes to post on their Tumblr account in animated GIF form, I underwent the process of figuring out how to do the same thing. I've experimented with this before but with terrible terrible results. GIFs are such a fun and easy way to share exciting motion, and now that I've figured it out I'd love to share it so you can do the same thing with your awesome game. First things first, you need to capture some footage. I use Fraps. It's a super useful and cheap program that will capture a window and dump a near lossless video in the directory of your choice. 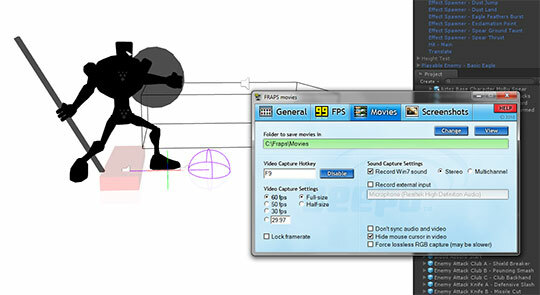 There are many options for video capture and you should use whatever you're comfortable with. But Fraps is my preference and always has been. For me, I set up a scene right in Unity and tell Fraps to capture right out of the viewport. A fascinating subject that came up in the comments of my post about animation issues in Kingdom Of Amalur was about the key distinctions between beat 'em ups and its "cousin" genres. I wanted to quickly elaborate on those splits and changes and touch on the essence of each of them from a game play point of view. I mostly want to answer the question "What is a Beat 'Em Up?" out loud so we can all agree and move on. Haha! 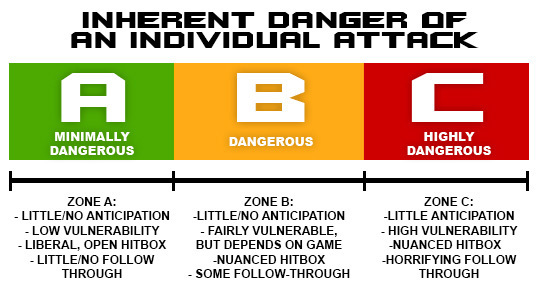 But first let's talk about a really important spectrum; the danger level of an individual attack. ...and the rest are all right down here for your convenience. Enjoy! Mechanic Analysis: Now In Video Form! David Rosen over at Wolfire (creators of Lugaru, Overgrowth, and the Humble Bundle) suggested that I make an analysis similar to the ones I usually do here on the blog except in video/spoken format. I figured it was worth a try so I ended up making a couple in the last week: one for Warhammer 40k: Space Marine and one for Darksiders 2. The response was good so I'm sharing them here now and opening it up for feedback. Keep in mind that because of the short video format, I can't go into nearly as much depth as I do in my written analyses, so the videos take the form of a mechanic analysis, where I evaluate the game's mechanics in an open area without enemies. I always do this whenever I get my hands on a combat heavy game for the first time, and I've found this exercise terrifically useful. Anyway, here they are! Let me know what you'd like to see from videos like this in the future. I will continually update this entry with new videos as I make them. Hit the jump to see the rest!